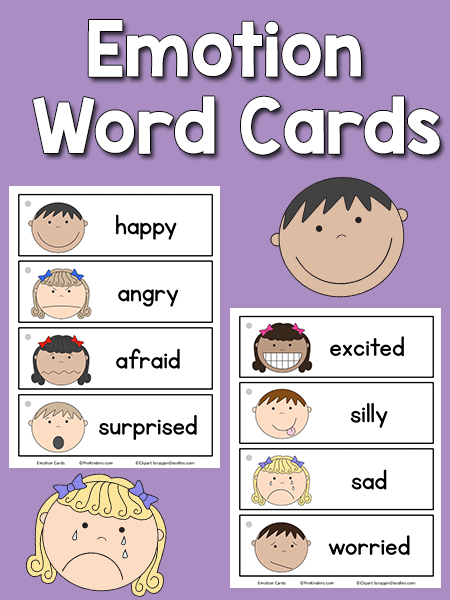 This set of Emotion Picture-Word Cards includes happy, angry, afraid, surprised, excited, silly, sad, and worried. This set has 8 word cards. Find more word cards in the Picture-Word Card collection. I prefer to use picture-word cards in a pocket chart near my writing center. That way, the children can take them out of the pocket chart and take them to the table if they want to copy the words onto their paper. The children know to return the card back to the pocket chart when they are finished. 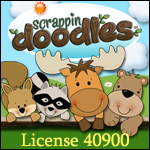 They can also use the cards to spell words with magnetic letters or letter tiles. Hook them together on a binder ring to make a picture dictionary. Use them on a word wall. Use the blank set to write words in other languages or other writing styles (e.g. D’Nealian), or use them for modeled writing activities. Click the link to find more Picture-Word Card collections. Thank you so much for these emotion cards. We met today with our school staff and they were discussing how they want us to display emotions in our classroom for discussions and lessons. Thank you much, Karen! You are always a great help!! Thank you so much Karen. 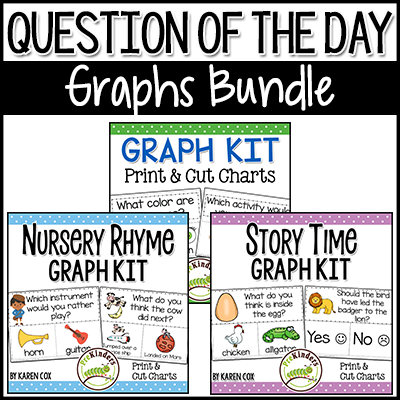 I am a Pre k teacher in Georgia also and this is website is very helpful. Me gustan sus ideas son maravillosas. Podria ayudar un poco mas si la pone en español e ingles. Thank you so much! Perfect addition to my classroom! 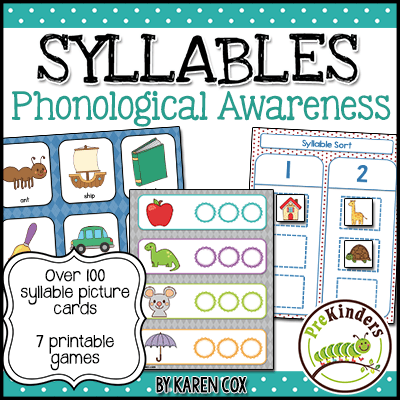 Thanks so much for generously sharing these and all your other Picture-Word Cards, Karen! I featured your post as the Free Printable of the Day at the Living Montessori Now Facebook page and on Pinterest. Thanks! so much Karen, you are amazing to send me so much good materials. I am using it a lot. 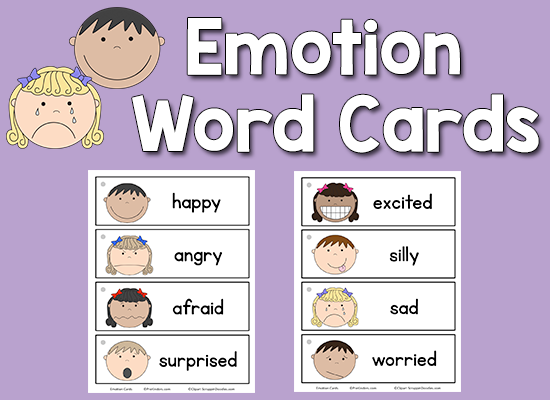 And on September I will use the emotions cards, and the colors cards to. thank you again for your sharing, Have a good one. BYE! I love the picture word cards. Thanks for all that you do. I teach PreK-3 at a private school. 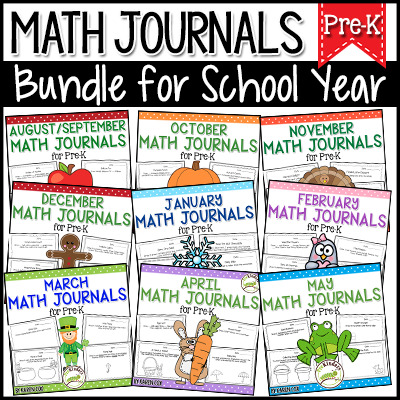 Thankyou for sharing these resources in a way that is so accessible. Not all families and services can afford to purchase resources. Lovely cards, can’t wait to use them during circle time. Thank you so much Karen. 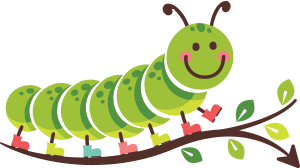 I am a Pre _ k teacher in Egypt and this website is very helpful. We are so grateful to you for all these wonderful resources. Thank you so much karen for everything you have shared on this website. All of them are so helpful. They are colorful, cute and so nice 🙂 God bless you! Thank you for the emotion cards!! They are great!